It’s that time of the year again, guys! The holidays are upon us, AC Family, and as usual, we’ve got a great Holidays Promo for you ant keepers and ant lovers wanting to get into the hobby this year! Anyone ordering our new Ant Towers, which are already on sale, or any of our Hybrid Nests or Hybrid Nest Gear Packs, will also get our newly revised 2019 version of the Ultimate Ant Keeping Handbook, with new and updated ant keeping info, a huge new section on nuptial flight schedules and distribution info per species, and tonnes of gorgeous ant photography. Just order an Ant Tower or Hybrid Nest or Hybrid Nest Gear Pack, add the new e-book to your cart and use the coupon code “antlove2019” and you get the e-book for free! If you’ve always wanted to start ant keeping, don’t miss out on this opportunity and check out our ant keeping gear at AntsCanada.com. Just a reminder that this Holidays Promo ends January 1st, 2019, but you need to order by Dec 17 if within USA, or by Dec 10 if outside USA, if you would like your package to arrive before Christmas. Give your loved ones something meaningful and educational for the holidays. Ants will fill their hearts with wonder and fun. We look forward to you all keeping ants with us! 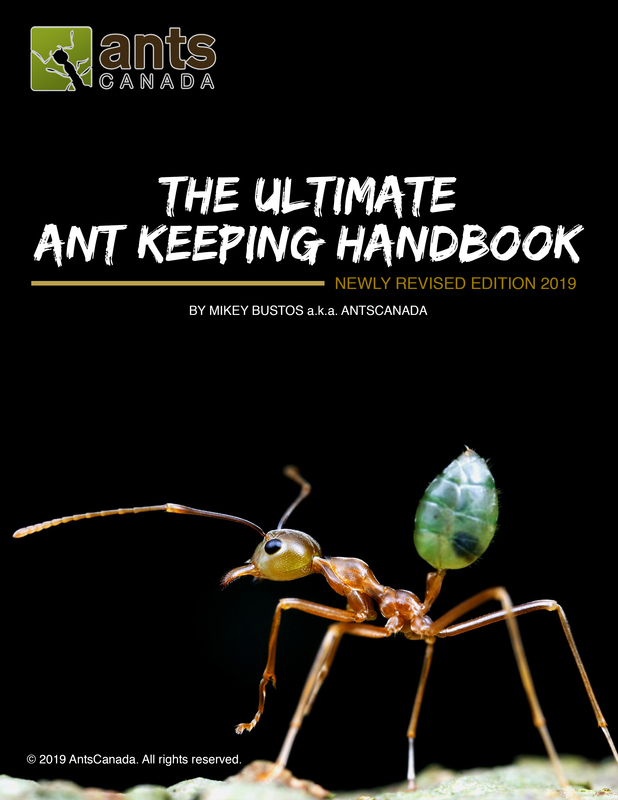 The brand new 2019 Edition of our Ultimate Ant Keeping Handbook e-book contains new information on ant keeping, charts with nuptial flight and distribution info, and a multitude of beautiful photographs of ants.